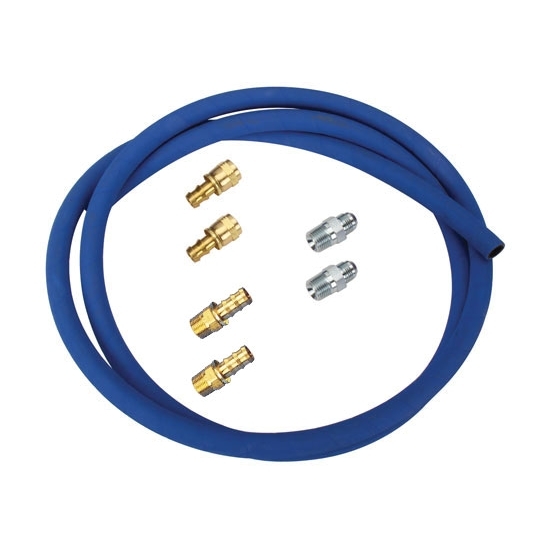 Kit includes enough -8 AN push-on neoprene/rubber hose (1/2" I.D.) to run two 36" lines from your oil filter block adapter to your remote oil filter bracket. Also includes two 1/2" NPT hose ends, two -8 AN hose ends and two 1/2" NPT to -8 AN steel fittings.